Bryant Terry NPR coverage of Bryant Terry: News, author interviews, critics' picks and more. 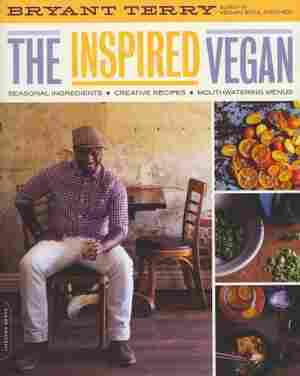 December 28, 2012  Chef and author Bryant Terry is on a quest to popularize the plant-based, vegan diet. Inspired by his own family's roots, his latest project involves blending African- and Asian-American cuisines. March 3, 2009  Vegan soul food may sound like a contradiction in terms. But chef Bryant Terry says the vegan lifestyle and loving soul food aren't mutually exclusive. He's written a cookbook to help people navigate this cultural, culinary landscape. October 2, 2008  Bryant Terry is a young chef and author committed to local urban food systems. The eco-chef and food justice advocate is co-author of Grub: Ideas for an Urban Organic Kitchen. He talks about reconnecting with local food and the cooking traditions of the South.